Hello Beautiful! =) Congratulations on your engagement and upcoming wedding! We know this is a special time of love and celebration for you and your loved ones! We are so excited that you are here with us! We have seen many perfectly planned weddings with ideal timelines and also many with stressed out brides and timelines that are not realistic or ideal. 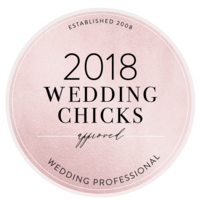 We realized that there are similar factors in each of these weddings that when put together properly, they leave a wedding day running smoothly and feeling stress free. This is what we want for every MLP Bride! A stress free, exciting and joyful time with the ones they love. We have created a list from all we have experienced and witnessed, that will ensure the most beautiful and memorable wedding experience. And will ensure the time to capture the most gorgeous and timeless portraits of the two of you! A wedding day full of love, laughter, emotion and joy is what all our couples deserve and we want to give you just that! For more detailed information, contact us! 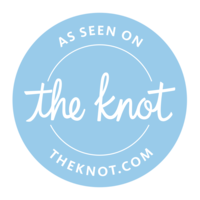 We are excited to hear from you and would be honored to be a part of your love story! Our mission is to serve our clients to the very best of our ability in every way possible. We truly care for our couples and want the best for each of them. It is important to us to have a great connection and build a trusting, genuine and comfortable relationship with each couple. Every love story is so unique and beautiful, we feel so privileged to have the honor of preserving our couples love story. We want to be the ones who not only capture the moments in the scene, but also capture the feelings and emotions in each of these moments. We want these memories and their colorful, unfiltered, fresh and pure emotion to come back to life and jump right off the page! Our MLP bride know that their photos are one of the most important parts of their special day! MLP couples also know that having us preserve these real and living feelings, they will last for generations to come, leaving a legacy of love. Please do not hesitate to contact us for more information and to customize your own wedding collection! What can I say about Mychelle? Well for starters she is wonderful, friendly, enthusiastic, and overall amazing. My husband and I hired her for our engagement and wedding photos. I never thought you could look at pictures and relive a day to the fullest, but when I received my wedding pictures all the emotions from that day just came rushing back. Mychelle is talented and so kind. She will make you feel comfortable and carefree while taking pictures. Matthew and I have found a lifelong photographer, and a great friend. If you haven’t found your photographer yet, she is the one for you. Trust me!! We are so thankful to have found Mychelle LeVan to photograph our wedding!! Our big day is in 2017, but so far Mychelle has gone above and beyond any and all expectations my fiancé and I had for a photographer. She has been so accommodating and was more than willing to travel about 3-4 hours to Luckenbach in order to capture our engagement photos at the same place the proposal was. Our friends and family are in AWE of our engagement photos! She is so professional and the service she provides is absolutely amazing! I highly recommend her to anyone and everyone looking for a photographer!! Hands down, favorite photographer. I’ve worked with her on a photoshoot and she photographed my engagements and wedding. I will definitely hire her again! At my wedding she was PERFECT. She was there for everything and they are my husbands and I favorite photos of us! She captured us perfectly and we are constantly getting compliments on our photos. We will definitely be using Mychelle for all future photos and I highly recommend her to all people interested in photographer. Mychelle recently photographed our engagement and wedding photos. We have fallen in love with the photos that were taken. They all turned out so lovely, it is hard to choose our favorites.. haha! Mychelle has such natural talent and knows how to make you feel comfortable in front of the camera. She is truly the best photographer I have ever worked with and her genuine, friendly, joyful personality is an added bonus. Thank you so much Mychelle LeVan Photography for a great experience and for all the hard work you put into capturing our special day! Mychelle was very knowledgeable about the scenic areas for engagement pictures, and was very accommodating with how indecisive we could be. In the end, she paid great attention to our needs, worked with the setting, styling and organization of the shoot. She was not afraid to get on the ground, and in the bushes to get the perfect shot. Our engagement pictures are absolutely stunning. We ended up having a destination wedding, so she was not our photographer, but i plan to use her whenever i can in the future. Mychelle comes highly recommended. trust me, worth the investment. Mychelle LeVan Photography is amazing!! Mychelle recently did our wedding photos and they turned out beautiful, we have gotten so many compliments! She makes taking photos fun and comfortable and her first priority is you. I would highly recommend Mychelle to anybody looking for professional photos no matter what the occasion.